This Memorial Day, why not skip the usual mayo-drenched potato salad and deviled eggs, and try a fun new sandwich spin? 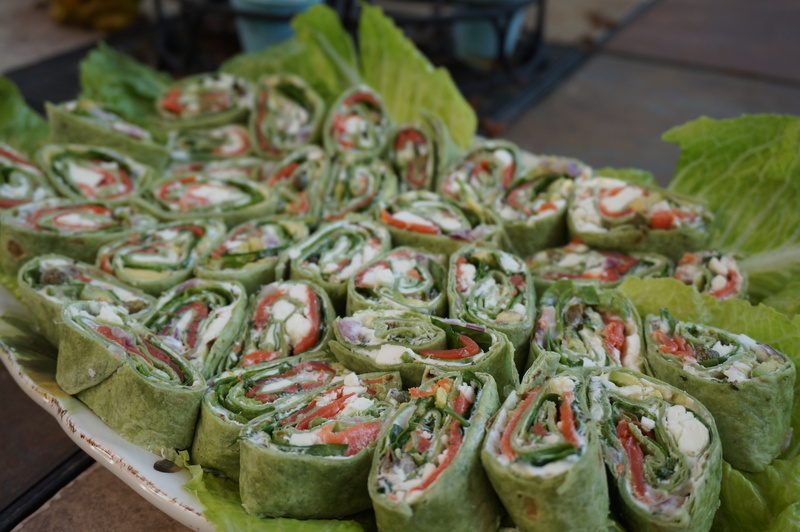 These pinwheels are a variation of my classic picnicking rollups and are sure to impress even the pickiest of your friends! 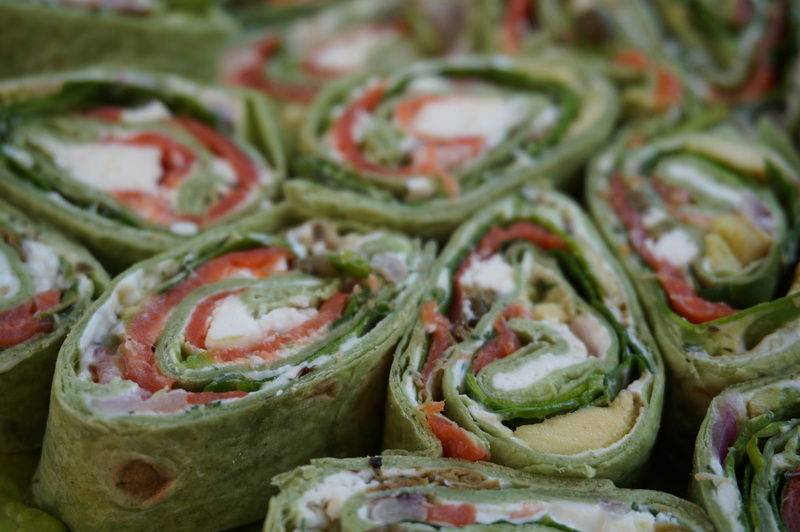 Who doesn’t love the combination of cream cheese and lox? I added a few sprigs of dill and red onion for some spice, and topped with some savory capers and feta cheese. You can also add some chopped avocado to make these a bit creamier. Arrange on a platter with some romaine hearts for decoration. *Note: I also made some pinwheels with a lentil spread, corn and turkey. Comment or contact me if you would like the recipe! 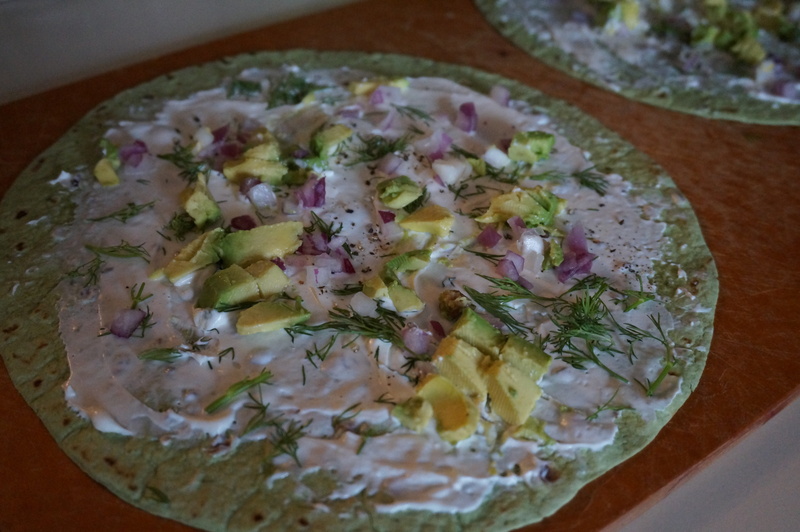 To assemble: Spread a thin layer of cream cheese spread onto each tortilla, leaving a 1/2″ border. 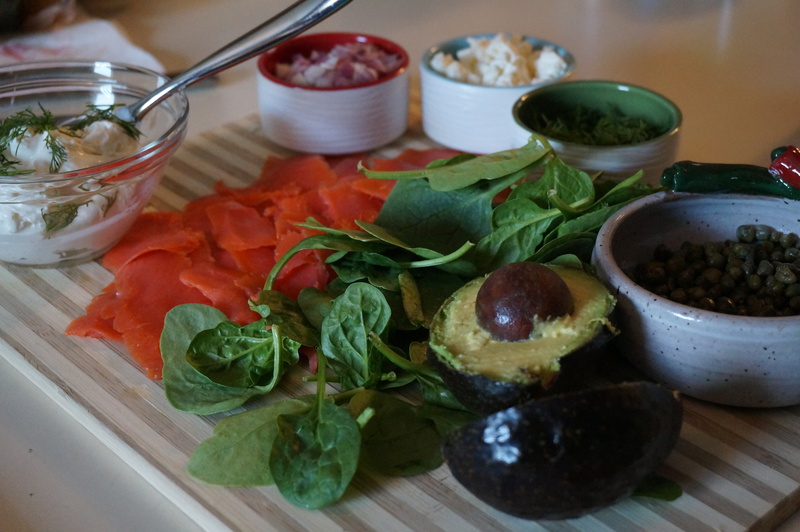 Top with chopped dill, red onion, feta, spinach, avocado, capers, and salmon. Finish by topping with fresh cracked black pepper. Tightly roll each tortilla, starting from the edges and carefully working your way towards the other side. Store in an airtight container (or covered with plastic wrap) in the refrigerator for at least 4 hours. 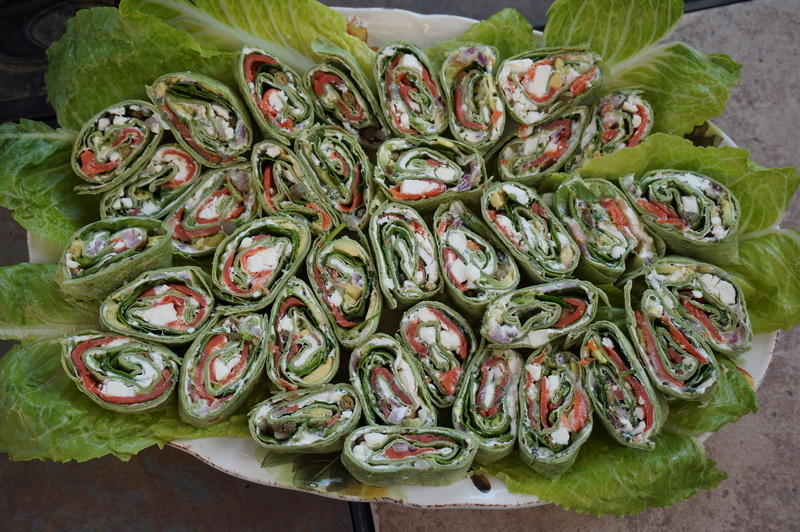 Slice into thin pinwheels and arrange on platter. You can also fasten with toothpicks if desired. 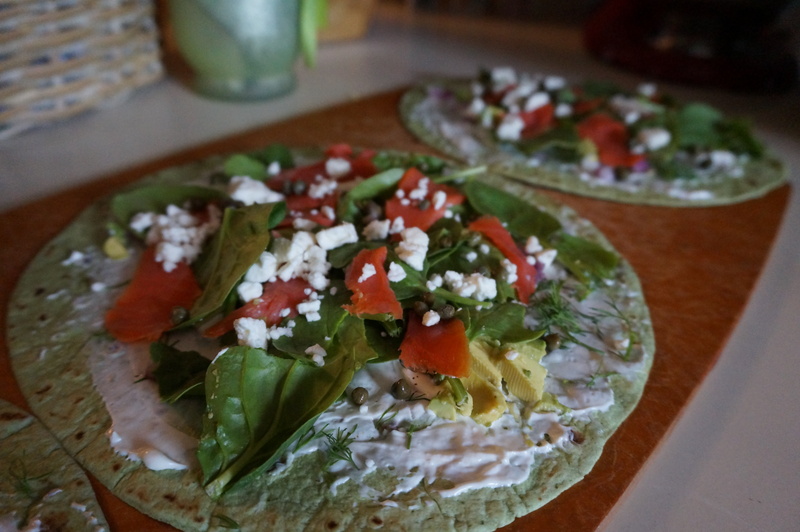 Finish layering with salmon, capers, and feta. Happy Memorial Day! Thank you to all who have so faithfully served our beautiful country!